We offer custom jewellery design, engagement rings, wedding bands, and stock a unique collection of artisan and contemporary jewellery in silver and gold. Our jewellers make custom rings for any occasion and can help you go from concept to "Wow!". 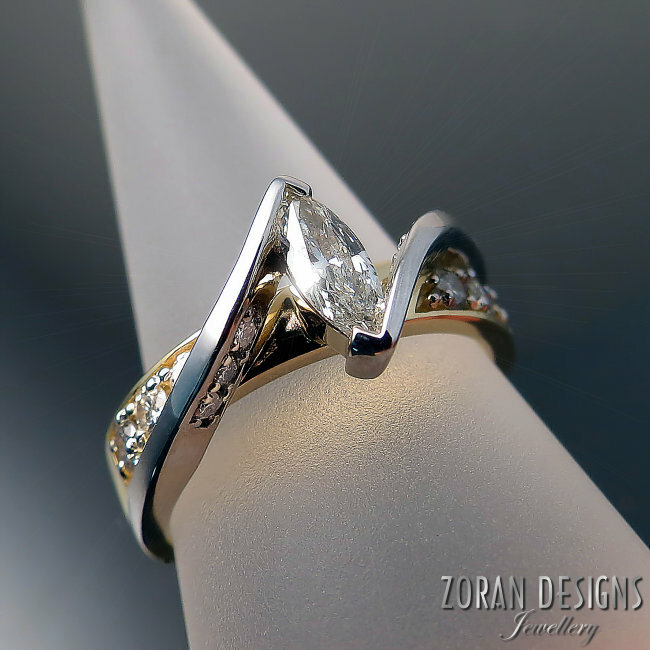 Zoran Designs Jewellery is a labour of love. A business built from the ground up by a passionate and determined family. 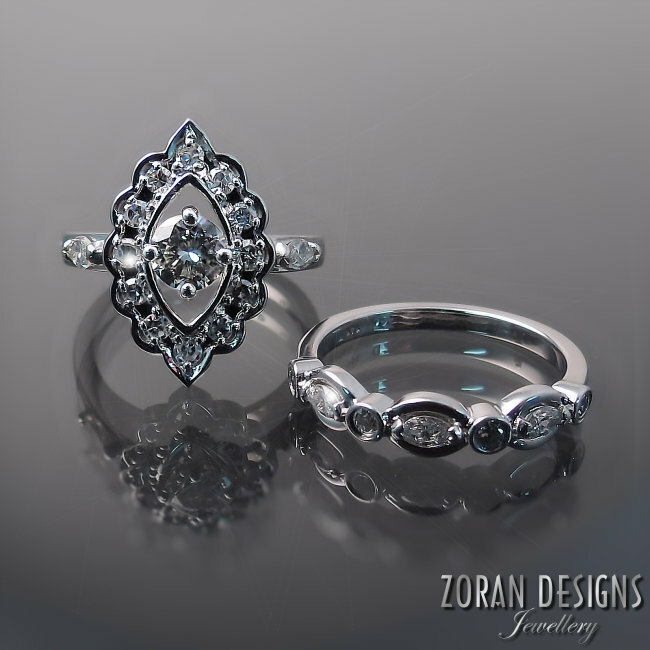 Zoran Designs is an established jewellery store with a fiercely loyal following. The secret to our success is no secret at all: beautiful, unique, high quality jewellery coupled with genuinely friendly service. Every step handled with the utmost of care and effort: from product to presentation to service. Our approach is based on warmth, honesty, integrity and reliability. We take great pride in providing you with beautiful jewellery alongside informative and genuinely friendly service and invite you to see why our loyal clients come back again and again. Jewellery design and creation comes second nature to Maja, who grew up in her father's studio. She took an interest in the jewellery process at an early age and never looked back. She was instrumental in opening Zoran Designs' first jewellery store and could be found there between classes and on weekends while studying business at McMaster University. Upon graduating with an Honours Bachelor of Commerce degree, Maja fully immersed herself in the family business. Maja designs custom engagement rings, wedding bands, family rings and other specialty and fine jewellery for all of life's special occasions. Her ready-to-wear collection includes fashionable evening wear and special occasion jewellery as well as affordable designs for everyday - work or play. Zoran Prvanovic was trained in Europe and achieved much success as chief jewellery designer of a large precious metals company and later as an independent artist. He received many prestigious international awards, most noted of which is a gold medal for excellence in jewellery design awarded to him in Italy where he had the honour of showcasing his work alongside Salvador Dali. After moving to Canada in 1986, he established Zoran Designs with his wife, Tatjana, and continued to create stunning jewellery. Although he is officially semi-retired, Zoran still gets the urge to create and on occasion can be found in the studio turning sheet metal and wire into stunning objects of wearable art. 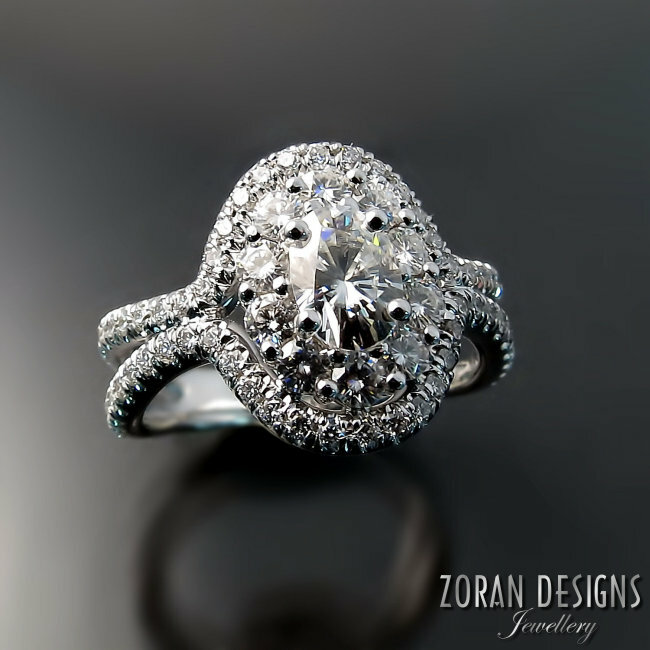 Zoran focuses on sophisticated, clean designs that are contemporary yet timeless. He uses unusual shapes and interesting textures to create his signature designer jewellery. I had the rings that my husband gave me before and during our marriage after he passed made into one ring representing my "one life" with Dave....I am BEYOND happy I found this business because no one could have done a better job than Maja did....she kept the representation I wanted and it turned out even better than I could imagine....and I know Dave loves it too!!!! Our jewellery store is located in the beautifully rejuvenated area of downtown Hamilton, specifically known as International Village. Home to a variety of businesses, shops, as well as an eclectic collection of casual and fine dining establishments such as Shakespeare's, La Cantina, and the Black Forest Inn to name a few. The village also houses Theatre Aquarius, home of the Hamilton Opera. We are walking distance from all of the Downtown Hamilton hotels as well as the Hamilton arts district on James Street. Serving clients from Ancaster, Hamilton, Burlington, Oakville, Toronto, GTA area, Niagara area and beyond. We readily ship within Canada, to the US, most EU countries, as well as some other international destinations.